The Center for Investigative Reporting sued the Department of Homeland Security in January over records related to land purchases, fence construction and other border spending. While President Donald Trump is visiting prototypes of a wall he wants to build along the southern U.S. border today, his administration continues to withhold records showing how much the government already has paid for border land and fence construction. With so much taxpayer money at stake and few details about how it would be used, Reveal from The Center for Investigative Reporting wanted to know how much the government has spent to acquire land and build barriers along the border and where that land was. 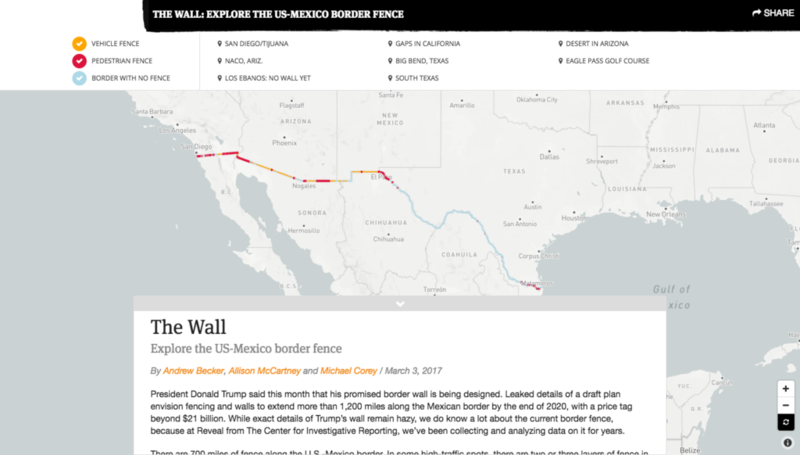 We’ve done a lot of reporting on the wall, including publishing the most comprehensive map of where about 700 miles of fencing exists now. We even turned the border into sound so you can hear the presence and absence of barriers. Meanwhile, the basic question of how much the government has paid remains unanswered. Nearly one year ago, reporter Andrew Becker asked U.S. Customs and Border Protection for records showing the costs of buying land and building fence along the country’s 2,000-mile border with Mexico. 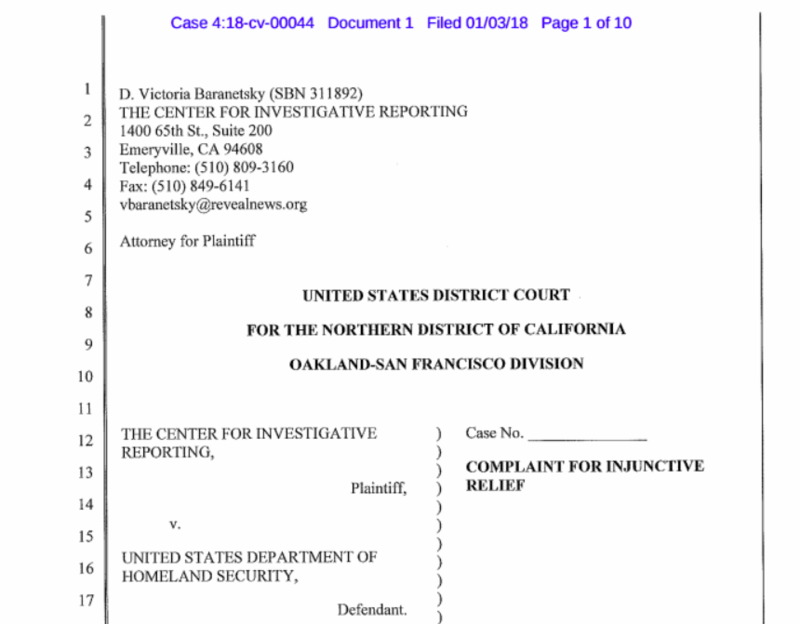 After the government dragged its feet for months on our request, we filed a lawsuit in U.S. District Court seeking the records. Our suit seeks records including the amount of money Customs and Border Protection and the Department of Homeland Security has paid to landowners to acquire private property for border fence construction, costs for existing fence construction, costs for land condemnation actions and locations of land parcels acquired by the government, as well as names of who received the funds. Because some border condemnation cases have lasted many years and the policy issues involve several presidencies, we asked for records dating back to 1996. The federal Freedom of Information Act requires the government to release records in a timely manner. 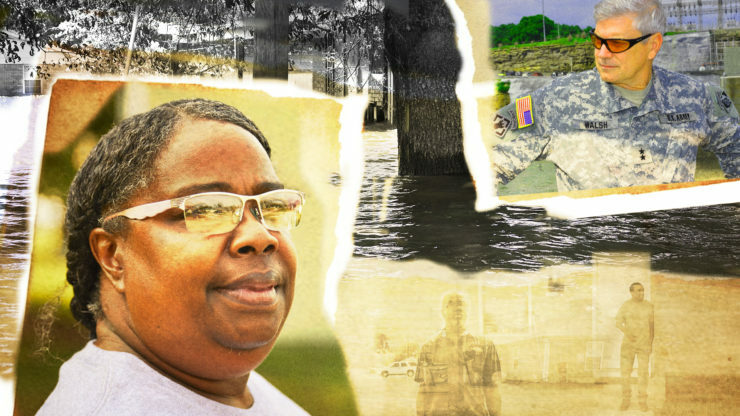 There are a few narrow exceptions to releasing records, and this case isn’t one of them. Trump made building a wall along the border with Mexico a signature campaign promise, repeatedly vowing to make Mexico pay for it. Officers who’ve worked along the border and directed policy for Customs and Border Protection have said the project isn’t needed, with one calling it “an incredible waste of taxpayer money.” Some estimates have put the price tag for a complete wall at more than $70 billion. As part of our video series called The Divided, we told the stories of activists and ranchers who are on opposite sides of the issue but are committed to humane treatment. In southern Arizona, where long stretches of desert and extreme heat have killed thousands of migrants, water is the common ground between pro-immigrant activists and a rancher who backs the wall. Walling off even more of the border also will affect animals in the region. Right now, a mix of vehicle barriers and pedestrian fencing covers only about one-third of the nearly 2,000-mile U.S.-Mexico border. Even with existing gaps in the fence, experts say the barriers have made it harder for animals to find food, water and mates. Many of them, such as jaguars, gray wolves and ocelots, already are endangered.